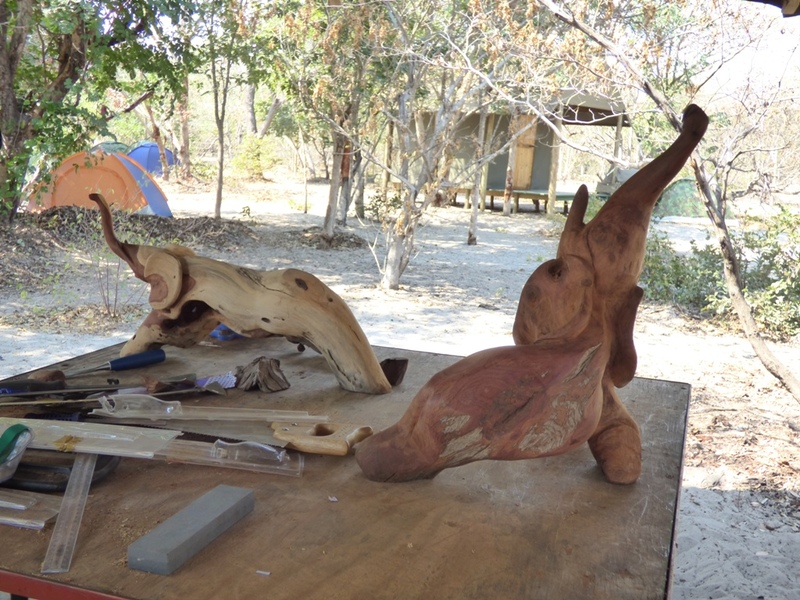 My latest sculpture training workshop in August 2018 was arranged by Ecoexist, a Botswana-based non-governmental organisation that works to foster peaceful co-existence between local people and the elephants that share their living space in the country’s Okavango Panhandle. Ecoexist’s work is a challenge in a landscape where herds of huge elephants frequently cross paths and roads used by people, and like to feast on patiently tended crops of vegetables and sorghum. 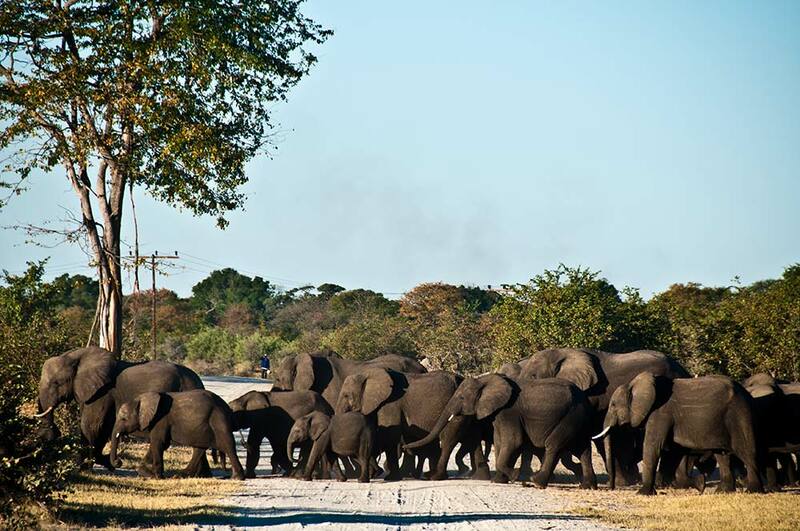 Ecoexist’s successes include negotiating recognition of special corridors for elephant movement in local land use planning regulations. 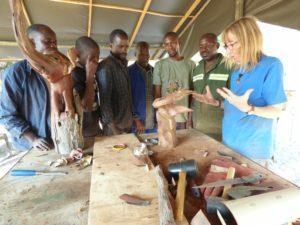 The project also encourages sustainable use of natural resources to support local livelihoods, which is why they asked me to demonstrate the potential of wood sculpture by leading a workshop for carvers. 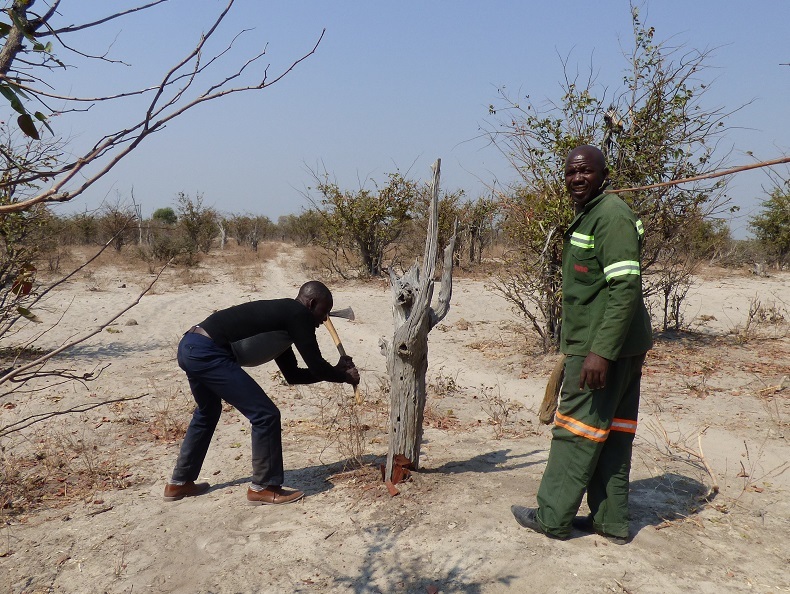 Ecoexist operates its programmes from a tented camp near Eretsha village, a ten-hour drive from Maun, including a ferry ride across the Okavango River, and 120 km of dust roads. 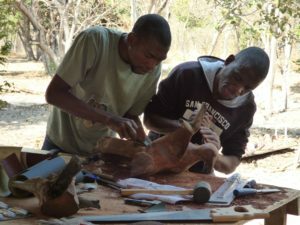 I made the journey in the company of six experienced wood carvers from the Okavango river basin. 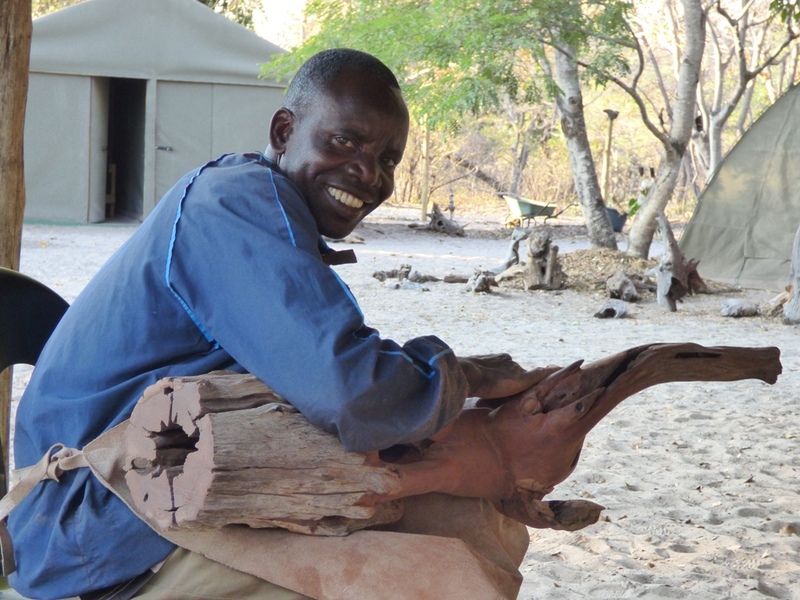 As dusk turned to dark, we met a herd of elephant on the road, our introduction to the daily experience of people who live in the area, and inspiration for the carvers’ work over the next six days. 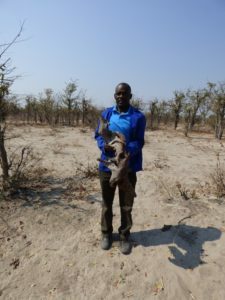 Around the camp, we explored a landscape filled with stunted mopane trees, their sturdy trunks cracked and uprooted by elephant. The carvers were really pleased with their choice of working materials. Each carried several pieces back to camp, where we discussed their potential. 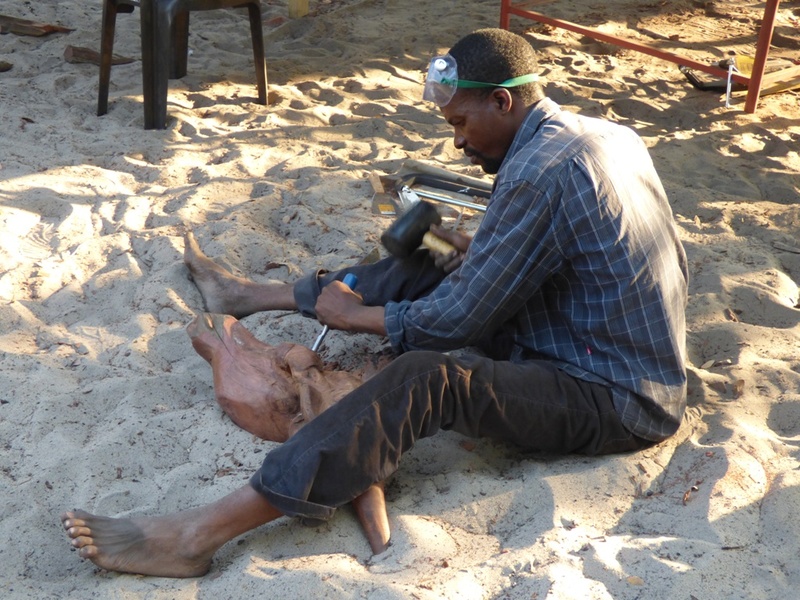 The following days saw elephants and birds emerge from the rough working material, the artists working from dawn to dusk with hand tools in our electricity-free environment. 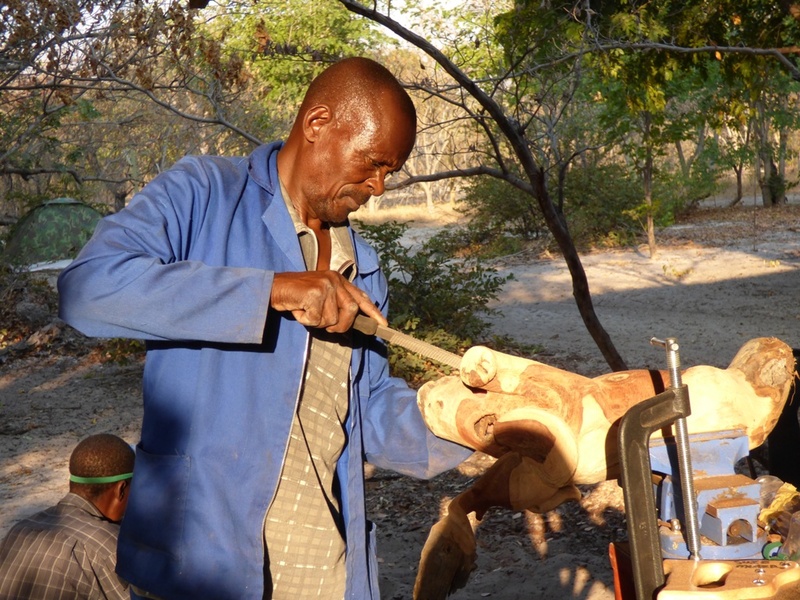 I have never before worked with mopane wood as hard: it seems that the elephants’ constant browsing toughens up the trees. The best part of the day was when we gathered in the morning as a group to discuss the work’s progress: each sculpture received careful examination and comments by all the artists. Such a spirit of cooperation and good will in intimate surroundings! Our campfire suppers wrapped up the days with the tired carvers still in the best of humour. When members of the Ecoexist project team arrived for a look, the response was immediate: these skills should be passed on to people living in the area, making use of a plentiful resource to produce marketable products. For me, the thrill of the experience was in seeing the creativity of this small group of artists bloom and grow in an atmosphere of good will and comradeship, and with sensitivity to the people and landscape around them. 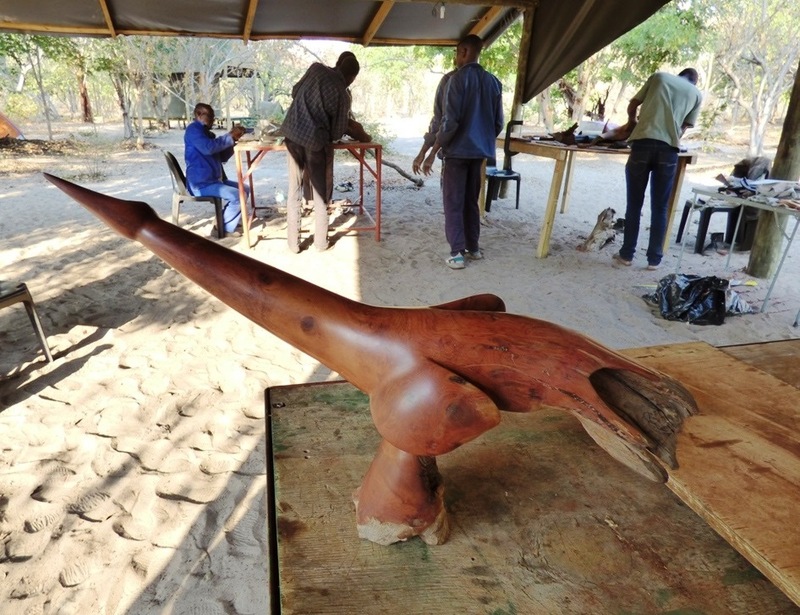 The beauty of what the artists made speaks to the unique environment of the Okavango Panhandle, where the future of the elephants that outnumber people depends on a delicate balancing of needs.